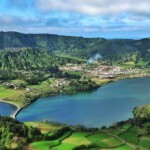 The Azores are one of the World’s best kept secrets. Its location, which made the islands difficult to access in the past, is now seen as one of its advantages as it has helped preserve their authenticity. Stunningly beautiful, and each very unique, the nine islands that make up the Azores are located between two continents and are the peaks of some of the world’s tallest mountains reaching from deep beneath the Atlantic. 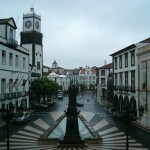 Before visiting four of these Azorean islands we spend a week on mainland Portugal based in the two magnificent cities of Porto and Lisbon with excursions to the interior of the country visiting the Douro Valley, Aveiro, Cascais, Guincho and Sintra. Come with us and enjoy a real taste of Portugal – medieval castles, cobblestone villages, captivating cities and golden beaches coupled with history, great food and wine tastings. and non stop idyllic scenery. Accommodation: Eurostars Porto Douro (or similar) 3 nights Nestled in an unbeatable location against the Douro River and only a few metres from the most important attractions in Porto, this traditional and classic hotel preserves the indoor architecture and the typical materials of this Portuguese city. Just 290 metres from Dom Luís I Bridge, in the picturesque and colourful Ribeira, the Eurostars Porto Douro 4* offers a unique experience at the heart of the city. It includes totally equipped rooms to ensure maximum comfort after a pleasant walk along the river. Your double rooms are equipped with free Wi-Fi connection, LCD TV, telephone, minibar and private bathroom. The town that gave the country (and port wine) its very name, Porto is Portugal’s second-largest metropolis after Lisbon. Sometimes called Oporto, it’s an age-old city that has one foot firmly in the industrial present. 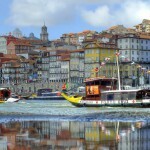 Porto is a coastal city in northwest Portugal known for its stately bridges and port wine production. In the medieval Ribeira (riverside) district, narrow cobbled streets wind past merchants’ houses and cafes. The old town, centered at Ribeira, was built on the hills overlooking the Douro River, and today is a UNESCO World Heritage Site. 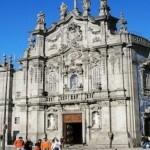 The 14th-century São Francisco church is a main attraction, as are the local port wine cellars, mostly located across the river at Vila Nova de Gaia. 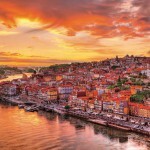 Day 2 26 May, 2020 Full day Douro Valley Excursion After breakfast we head to the UNESCO world heritage site of the Douro Valley, famous for the river and the vineyards that grow there. Nestled among the terraced slopes of the Douro valley port wine-growing region, and overlooked by an ornate shrine, the town of Lamego is elegant and infused with Baroque style. Atop one of its two hills stands the 13th century keep and 12th century castle. The most striking building of Lamego though is the sanctuary dedicated to Our Lady of Remedies which stands gracefully above the town, on the Monte de São Estevão, flanked by twin bell towers. Its hundreds of zigzagging stairs are decorated with tiled friezes and climb out of a tailored garden resplendent with a variety of trees. We make our way to Pinhão, a beautiful village on the right bank of the river Douro, surrounded by a unique vineyard landscape and beautiful wine producing farms and manor houses. We have lunch at a local restaurant before a relaxing one hour cruise. On our way back to Porto, we’ll visit Quinta do Bomfim winery (or similar) for a guided tour and tasting. Quinta do Bomfim is one of the Douro Valley’s finest vineyards and it represents the heart of the company’s greatest Ports, having provided the main structure for Dow’s Vintages since it was acquired in 1896. Evening is at leisure. Lunch is included today. 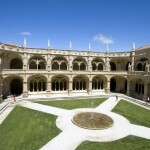 Day 3 27 May, 2020 Porto After breakfast we’ll have a city tour of Porto, visiting the main points of the city such as the Bolhao Market and Igreja do Carmo with its beautiful blue and white traditional tiles. The Carmo and Carmelitas churches look like the biggest church in the city but in fact, they are two churches separated by one of the world’s narrowest houses. This house was built to make all contact between the nuns and the monks impossible. We’ll have a coffee stop (own expense) at Majestic Café on the list of the top 10 beautiful café’s in the world before continuing to see Palacio da Bolsa, one of the most important historic monuments in Porto. This splendid neoclassical monument (built from 1842 to 1910) honours Porto’s past and present money merchants. We’ll end our sightseeing with a visit to the Porto wine cellars for a guided tour and tasting. Remainder of the day is at leisure. Day 5 29 May, 2020 Full day excursion to Guincho area, Cape Roca and Sintra. After breakfast we begin our excursion with our local guide towards Sintra by taking the coastal road between Lisbon and Cascais. This is absolutely stunning and is lined with picturesque beaches and charming Portuguese resort towns. These beaches are characterized by golden sands, clean waters and the area is one of the most popular in Portugal. We make some stops en-route to Guincho for lunch at a seafood restaurant. After lunch we have a stop at Cape Roca, a cape which forms the westernmost extent of mainland Portugal, continental Europe and the Eurasian land mass. We continue our journey to Sintra, a picturesque Portuguese town set amidst the pine-covered hills of the Serra de Sintra. This hilly and slightly cooler climate enticed the nobility and elite of Portugal, who constructed exquisite palaces, extravagant mansions and decorative gardens. 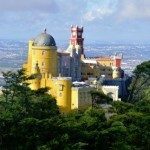 We have included entrance to Pena Palace, which exemplifies the 19th century Romanticism style of architecture. The palace is a hedonistic mix of vividly painted terraces, decorative battlements and mythological statues, all of which stand at stark contrast to the lush greens of the forests that encircle Pena. We’ll have some free time back at the village to explore the pretty streets before returning to Lisbon. Lunch is included today. 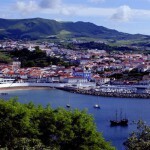 Day 7 31 May, 2020 Lisbon – Faial, Azores This morning we transfer to the airport and our flight to Horta, Faial. Faial Island (the blue island) is part of the Azores central group. 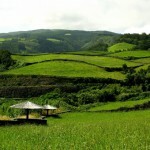 The surface area of Faial Island is approximately 67 square miles (173 km2). 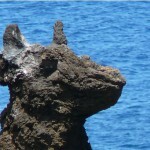 The island has about 15,000 inhabitants and its main municipal seat is located in the city of Horta. Different colours of blue decorate the houses and divide the fields and line the roadsides giving Faial the name “Blue Island”. The green circle of a volcanic cone at the top of a hill; white houses in towns mirrored on the ocean; the masts of sailing boats sailing from all over the world; the ochre walls of a fortress that has witnessed countless naval battles; the unforgettable sight of sunrise with the island of Pico in the background; the quiet inlets with beaches of soft sand; the hydrangeas standing out against the landscape framing houses and roads; all this contributes to the beauty, aesthetic, and cultural depth of the “Blue Island”. We’ll meet our local guide and commence a full day sightseeing of the island before we check into our hotel. 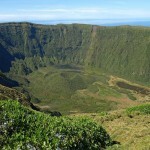 We’ll include a visit to the most famous of all attractions on Faial, is the massive Caldeira, a crater in the central part of the island where you view the beautiful landscape and natural protected area. This Caldeira is the crater site of the volcano that created the island of Faial. After driving up the windy road to the top of Faial, you will be welcomed to immense greenery in every direction. Accommodation: Hotel do Canal (or similar) 2 nights The boutique 4-star Hotel do Canal is situated in Horta on Faial Island. It is just 100 m from the beach and offers panoramic views of Pico Mountain and the bay. Free WiFi is provided throughout the hotel. Rooms have modern wood furnishings and come equipped with cable TV and a private bathroom with a hairdryer. A well-equipped fitness centre and massage treatments are available at the hotel. There is also a sauna and a Turkish steam bath. Guests can enjoy a coffee and newspaper in the bar which overlooks the Atlantic Ocean. Clipper Restaurant offers all-day dining and local specialities. 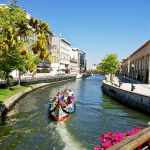 Hotel do Canal is just 10 minutes’ walk from the Horta Marina and is a 10-minute drive from Horta Airport. Accommodation: Terceira Mar Hotel (or similar) 2 nights With a breathtaking ocean view, Terceira Mar Hotel is a few steps from the historic city centre of Angra do Heroismo, classified by UNESCO as World Heritage. In resort style, Terceira Mar Hotel is a unique paradise located on Fanal Bay, overlooking a 16th century fortress and surrounded by a garden with a salt water infinity pool. All rooms face the ocean and Mount Brazil and offer an exceptional and warm atmosphere. Day 10 03 June, 2020 Full day excursion Terceira Our local guide will meet us this morning after breakfast to commence a full day of exploring the island. En-route to Monte Brasil we visit the beautiful city of Angra do Heroismo stopping at Pico das Cruzinhas. This is the highest point on Monte Brasil, with a beautiful view of the city and its outskirts. Monte Brasil is the remnants of a tuff volcano and is flanked by two bays: the Bay of Angra to its east, and the Bay of Fanal to its west and was used as a defensive point during the history of Angra. The tour continues towards the eastern side of the island, showing the typical settlements and rural architecture and “Imperios” (colourful religious buildings). We stop in the town of Sao Sebastiao, where the church is one of the oldest of the Azores and have lunch at a local restaurant. After lunch we drive to towards Serra do Cume, with beautiful views overlooking the town of Lajes and the ocean. Our final stop is Biscoitos, located at the foot of a wide lava stream, and the the most important agricultural town on the north coast. This area has a unique panorama with rolling hills, covered with lush-green pastures, groves and the curious ‘curraletas’ – small vineyards, protected by black basalt walls, where the famous ‘Verdelho’ is produced – gently sloping down right up to the edges of the strange rock formations shaping the coast along the Ponta dos Biscoitos. Lunch is included today. Day 11 04 June, 2020 Terceira – Sao Miguel After breakfast we transfer to the airport for our flight to Sao Miguel, known as “The Green Island”. This is the largest and most populated island of the Azores and has around 150,000 inhabitants, 50,000 of them living in Ponta Delgada (the largest city in the archipelago). 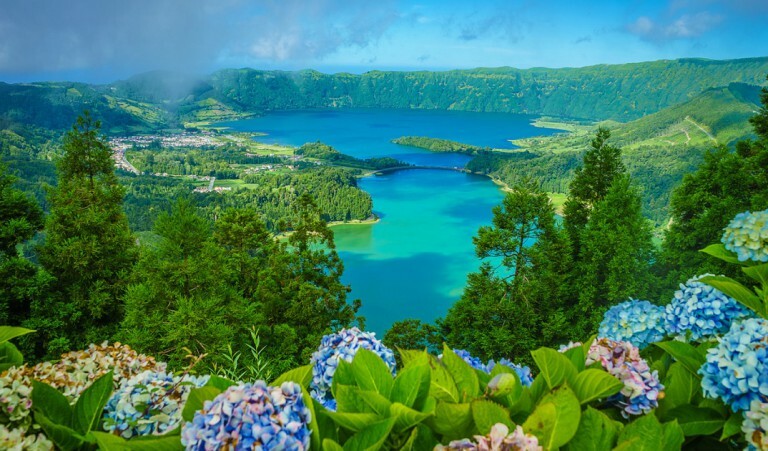 Sao Miguel’s diverse scenery features beautiful lakes, sandy beaches, rolling hills, high mountains, green plains, and blue ocean Its cosmopolitan town of Ponta Delgada offers the visitor a blend of contemporary life with historic flavour. 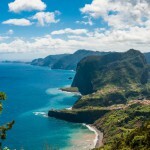 Sao Miguel monuments, turn of the century architecture, parks, and cobble stone streets are interlaced with a modern marina, nice restaurants, shopping, bars, night-clubs, and ocean-front cafes. Our local guide will meet us at the airport and we’ll have lunch in a local restaurant before commencing our sightseeing tour of the island. We visit the famous twin lakes of Sete Cidades, the biggest extinct volcano crater in the Azores. Shimmering blue and green, they’re cradled by lush green crater slopes all around. As a protected area by the government, very few buildings lie in the crater, so the raw natural beauty is striking. We drive on to Ponta Delgada through the mountain road and visit a pineapple plantation where the fruit grows in hothouses. See the different phases of the pineapple’s growing cycle and taste pineapple liqueur, juice, jam or the fruit itself (depends on the season), with time for souvenir shopping afterwards. Lunch and dinner are included today. Accommodation: Hotel Sao Miguel Park (or similar) 2 nights Situated in the heart of Ponta Delgada and located nearby the city’s Botanical Gardens, Sao Miguel Park Hotel offers spacious rooms with panoramic views of the city or the sea. Health club facilities include a pool and free WiFi is provided. The air-conditioned rooms at Sao Miguel Park feature a modern interior decorated with warm colours. All rooms have cable TV, a work desk, and an en suite bathroom. 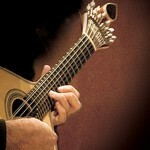 The buffet restaurant offers typical Azorean dishes as well international cuisine. The bar offers a selection of drinks, including refreshing cocktails. Guests can get a relaxing massage at the health club, which also offers an indoor pool, a fitness centre, a sauna, and a steam bath. Souvenirs can be bought at the on-site gift shop. Day 12 05 June, 2020 Sao Miguel After breakfast we begin today’s touring by visiting the fascinating landscapes of Lagoa do Fogo (Fire Lake). This huge blue lake – it is about 2 km long and 1 km wide – fills the ground of an extinct crater, whose caldera was formed during an eruption in 1563. Surrounded by high mountains and luxuriant endemic vegetation, this mystical lake has transparent waters, a peninsula and white sand beaches and is declared nature reserve. We vist Ribeira Grande city before making a stop at the belvedere of Santa Iria which as a stunning view to the north coast line. We visit Gorreana, the oldest, and currently only, tea plantation in Europe before enjoying a special lunch . Cozido das Furnas is one of the most emblematic and typical dishes of São Miguel Island, in the Azores . All the ingredients are placed in a pan, which is placed and buried in the ground next to the Furnas boilers, and its average cooking time is five hours. The Furnas Valley became popular towards the end of the 18th century, due to the growing interest in the use of mineral water to treat health problems, such as rheumatism and obesity. Furnas has hundreds of small springs and streams, all with different properties. 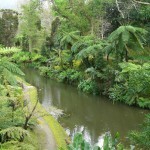 Terra Nostra Park , located in the Furnas Valley is a large botanical garden and boasts a huge variety of plants and trees, as well as lakes, streams and a volcanic pool. We have time to visit a hot spring before returning to our hotel late this afternoon. Lunch is included today. Day 13 06 June, 2020 Sao Miguel – Lisbon Morning is at leisure before we transfer to the airport and join our flight to Lisbon. Sadly our tour has come to an end when we arrive back at Lisbon airport. We would be happy to assist with your onward travel arrangements. Option: why not join our cruise from Lisbon to London via the coastline of France? We begin our cruise from Lisbon tomorrow. N.B. 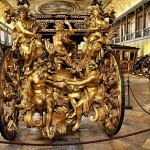 A number of European cities are likely to increase or impose a new tourism tax in the near future. These vary from Euros 1 to 6 per person per night and some have to be paid directly at the hotel locally. Many cities may introduce these at the last moment without warning, and we have to pass on this cost. We will always pass on details to you as soon as we are advised these taxes will be imposed.